Make privacy a priority when you install our window coverings in your home. As part of our integrated approach to home décor, our design team can help you select the right window coverings for each and every room. We sell authorized Hunter Douglas custom window treatments, so it’s simple to get the major brands and looks you know and love. These types always offer ease of maintenance and designs that are safe for pets and kids. If you’re looking to block out or filter the light and increase your insulation, cellular shades are perfect for you. These window coverings contain trapped air and act as a barrier between the room and the surface of your window. They can be made as single, double, or triple cell shades for different effects. Your custom curtains or drapes may be the focal point of your room and even the beginning of a theme. It’s not unusual for homeowners to choose these before even choosing their furniture. 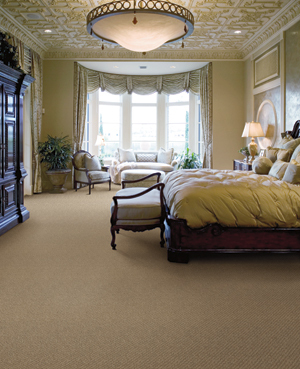 Custom-made treatments offer the most choices when it comes to colors, styles, and patterns. You get to create the feel and look that you want for your home, not what the store wants to sell. This means you won’t have to keep replacing them and can instead enjoy them for years. Keep in mind that despite their often interchanged use, custom drapes and curtains are not quite the same. Curtains are lighter, lined fabric that doesn’t block out light. These are often see-through and are thus more for decoration than privacy. Drapes are the opposite. They are composed of heavy fabric that censors not only light but also heat and cold. These work very well for privacy in addition to adding a formal look. Both can be a wonderful asset to your home, and we can help you choose which one is best.